Why choose Alan to photography your wedding in Edinburgh, Glasgow & Throughout Scotland?? Your wedding photographs will remain as one of the few permanent reminders of your big day, so it's important to get it right. That's why quality is our main concern, from the minute your precious wedding photos are taken. 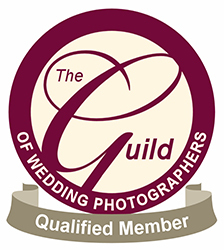 Having photographed many hundreds of weddings over the years we've got a wealth of knowledge and experience which we'll bring to your big day. Our easy-going, fun approach will help you feel comfortable in front of the camera, so we get the best photos possible. Our service covers a variety of wedding photography styles. From relaxed family group photos, to fun bridal party shots, candid wedding photography & storytelling shots and those signature bride & groom photos - we'll tell the story of your wedding with natural photos that really capture the essence of your big day. Each photograph we produce is fully-edited to provide a beautiful, colourful image and what's more, we don't make you choose a small selection of photos - you get to keep all the finished photos for your own personal use. For most weddings, that's 300 - 600 stunning, fully-edited photos for you to enjoy.